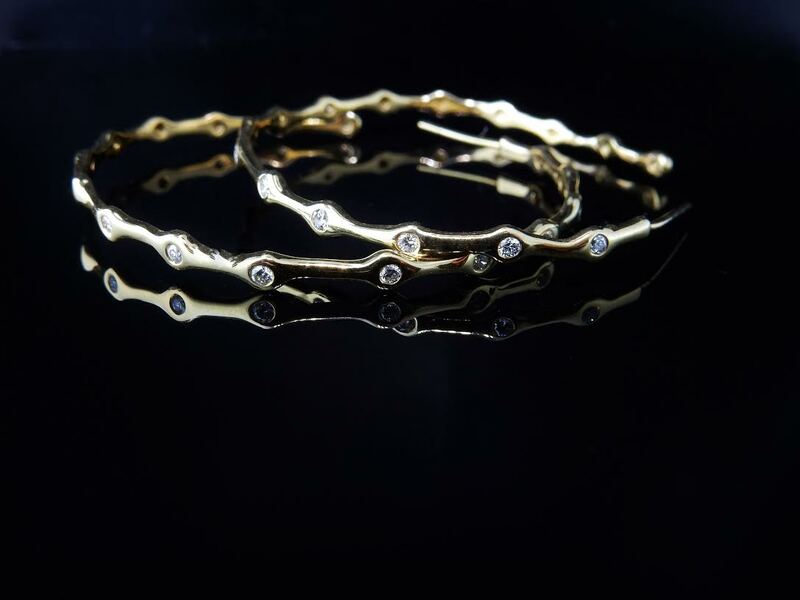 Gorgeous two-tone 18k gold and diamond bracelet, with woven design. .75ctw of diamonds. The perfect, very chic, everyday piece. 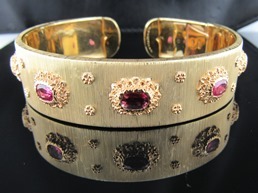 18k 2.0ctw Ruby Buccelatti bangle bracelet. Gorgeous oval cabochon bezel set rubies. Articulated folding opening to cuff for easy application on and off. An amazing piece and staff favorite! 18k Baume & Mercier Ladies Watch. Beautiful three strand, twisted rope chain bracelet. From our Estate Collection. 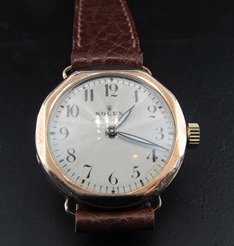 This is a vintage Tiffany & Co. circa 1919 watch. 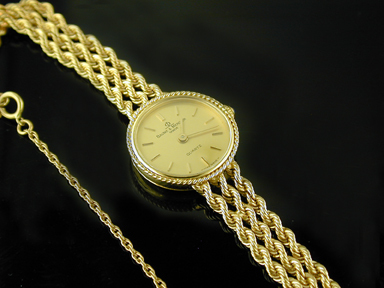 It features 18K yellow gold and a crocgrain strap. 18k Ippolita .22ctw diamond hoop earrings. 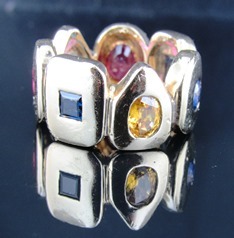 Very fun and unique 18k multi-colored sapphire and ruby rotating shape band. 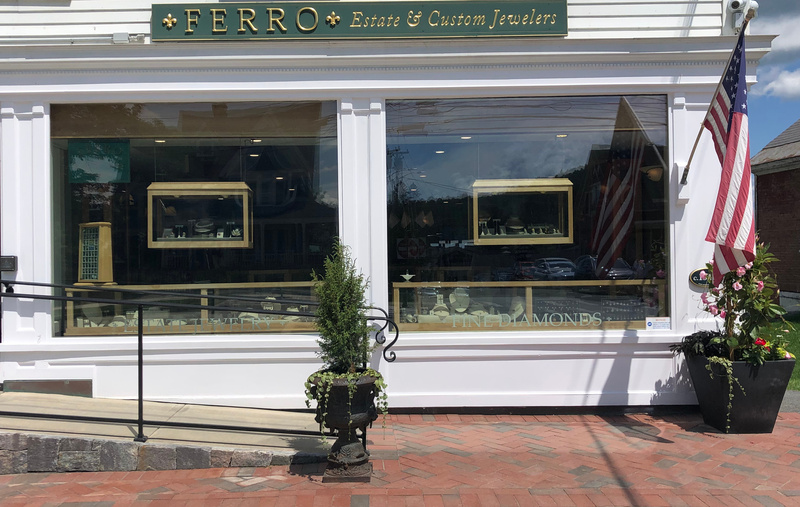 Each stone is bezel set into the center of each shape. 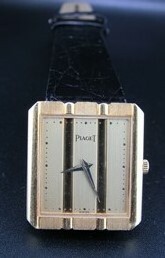 Very handsome and unique 18k Piaget watch. Square striped face. Black crocodile strap. Estate. 18K rose gold antique Rolex wrist watch with leather strap. 18K TIFFANY & CO. BRACELET DESIGNED BY FAMED ARCHITECT FRANK GEHRY. 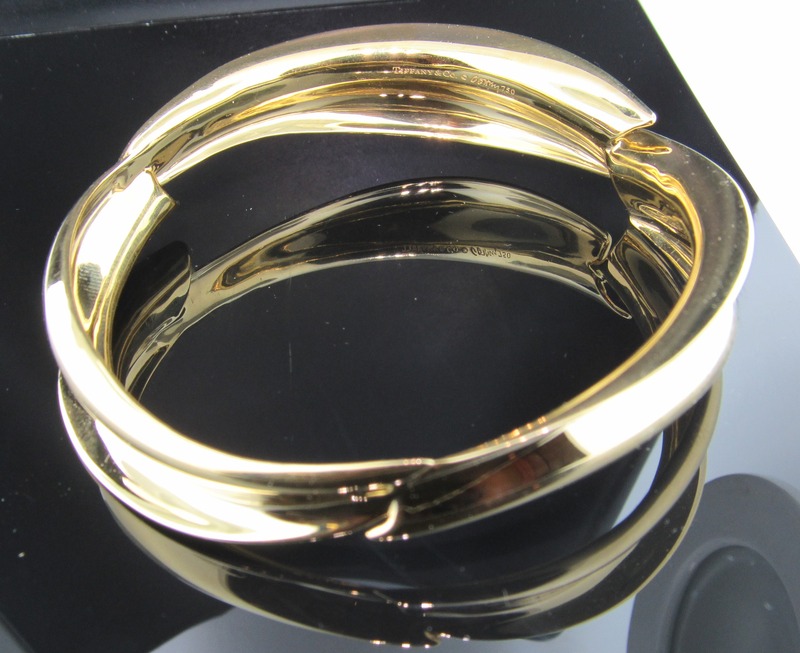 THREE- SECTION GROOVED CLOSED BANGLE BRACELET. 8. 9.0-16.5 MM WIDE. Set of three 18k Tiffany & Co. pins, of different sizes. Can be warn as a set or can be custom altered to wear as a three strand necklace! These alluring blue lapis earrings by Tiffany & Co. have a classic look with a twist. Mid-century. Estate. 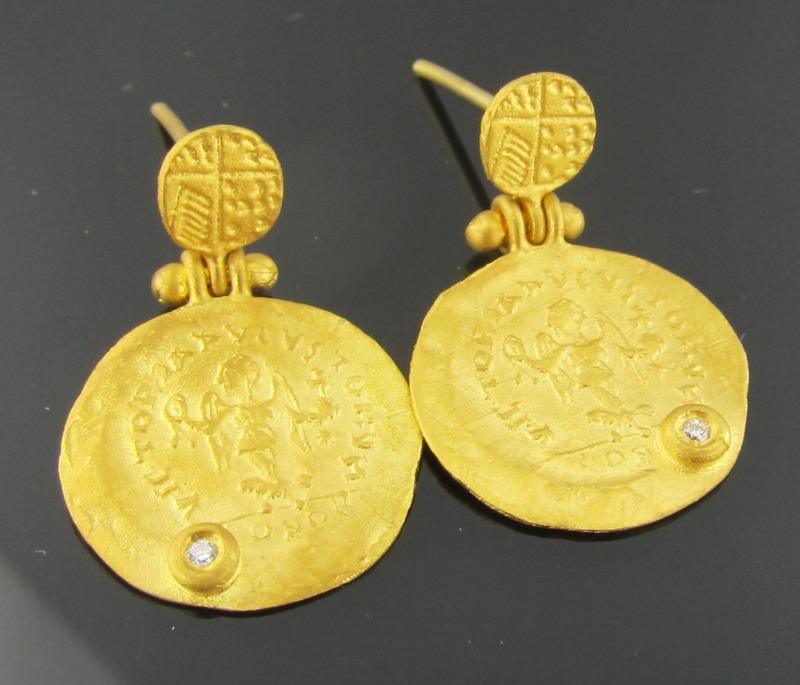 24k coin drop diamond earrings.